DeKalb County Animal Services (DCAS) is overwhelmed with a tremendous amount of homeless pets. Because we do not want to euthanize your pet or euthanize another pet to make space for your pet, surrendering your pet to us should only be done as a last resort. Owner surrenders are accepted at DeKalb County Animal Services on an appointment-only basis and there is a $35 surrender fee per animal. We generally only accept adoptable pets so if your pet is elderly, has behavior issues or is sick it is your responsibility to take it to a veterinarian for treatment, hire a trainer or have it euthanized at a private veterinarian. During times of high intake or when our shelter is full, accepting owner surrendered animals may be completely suspended. We ask that you read the tips below and try to find another solution before considering surrendering an animal to us. DCAS does not provide owner requested euthanasia as a service. Owners needing to euthanize sick, elderly, injured, etc. animals nust take them to a licensed veterinarian to have them euthanized. Check with your own private veterinarian or non-profit clinics such as Dearborn Animal Hospital, Wellpet Humane, or the Atlanta Humane Society for their current prices and policies regarding euthanasia. Please note that Wellpet Humane gives discounted rates for parvo treatment in puppies. DeKalb County residents who cannot afford low-cost spay/neuter surgery may fill out this application to see if you qualify for a free surgery. Stopping Pet Overpopulation Together (SPOT): If you live outside of DeKalb County and cannot afford low-cost spay/neuter resources, you may check here to see if free programs are offered in your county. If your county does not offer a resource to help you, SPOT may be able to help cover the surgery. Call 404.584.7768 for information. 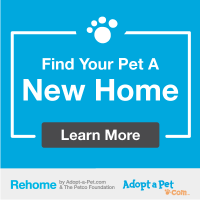 Find a rescue organization willing to take in your pet. Georgia SPOT Society has a list of rescue groups within the Atlanta area. Many of these organizations are composed of volunteers with limited resources. Offering a monetary donation to help cover food, shelter, and especially medical expenses will go a long way toward helping your pet get the resources it needs. Please be patient when waiting for a return call; it may take a few days. If you live in DeKalb County and have exhausted all of the options above, please make an owner surrender appointment. Please note, you must have an appointment to surrender your animal.